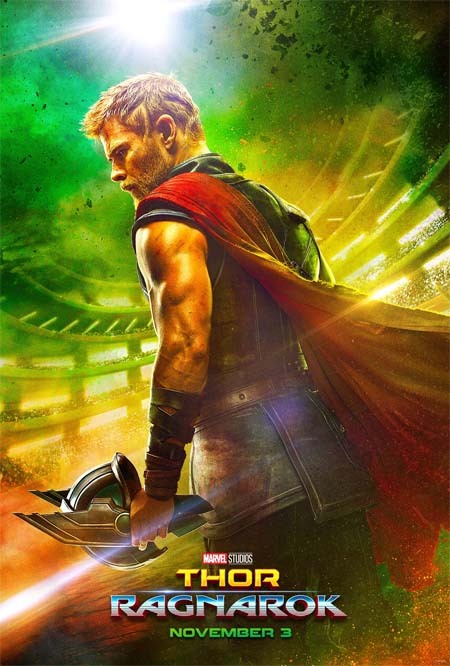 You are here: Home » MEDIA » Films » Thor Ragnarok trailer with extra shouty Japanese phrases. Thor Ragnarok trailer with extra shouty Japanese phrases. Here’s the new international Thor Ragnarok trailer with extra shouty Japanese phrases. There’s very few movie trailers, in my humble opinion, that don’t benefit from random Japanese marketing phrases shouted over an English soundtrack. Sore wa hijō ni shinjitsudesu!!! Oh, and it also has Doctor Strange. Cumber-who? Thor Ragnarok trailer (Thor vs Hulk).